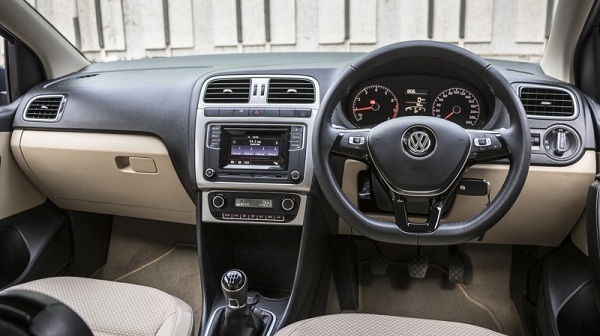 Slated for launch sometimes during the month of July this year, the first unit of first ever compact sedan by German car maker Volkswagen has finally come out from its production unit at Chakan in Pune on Wednesday. The unit got un-camouflaged to witness the sunlight under the auspice of Mr. Andreas Lauermann, President and Managing Director, Volkswagen India and the team of expert manufacturing this highly awaited compact sedan. Addressing the event Mr. Lauermann said, Volkswagen has invested Rs 720 for developing and designing Ameo during the period of three years. Moving ahead he added that their group speculates 15% hike in sales of company after launching Ameo in Indian car market. 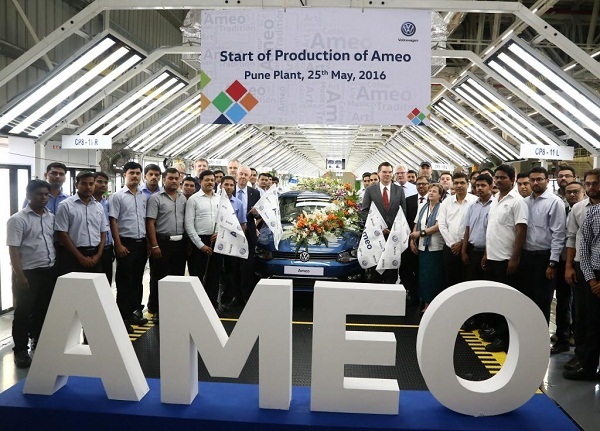 Revealing the specific feature of Ameo he said that company has focused mainly on integration of indispensable safety features and therefore Ameo embellishes front airbags and ABS as standard feature on all variants.The compact sedan Ameo went for production on May 25, 2016. Under the hood Ameo will sport 1.2 litre three cylinder MPI petrol and 1.5 litre TDI Diesel engine options with both engine mated with five speed manual and 7 speed DSG gearbox system offered individually in diesel variant. There will be overall three trims namely Trendline, Frontline and Comfortline. The bookings of Ameo have been already commenced by car maker.